19yrs.-old Daniel Achipis-Merchan from Harrison has been arrested for allegedly groping UBER Driver. On August 6, 2016, at 0429 hours, a Female UBER Driver entered Headquarters to report a sexual assault. She stated that she picked up a male passenger at 0249 hours, at Ferry Street, Newark N.J. 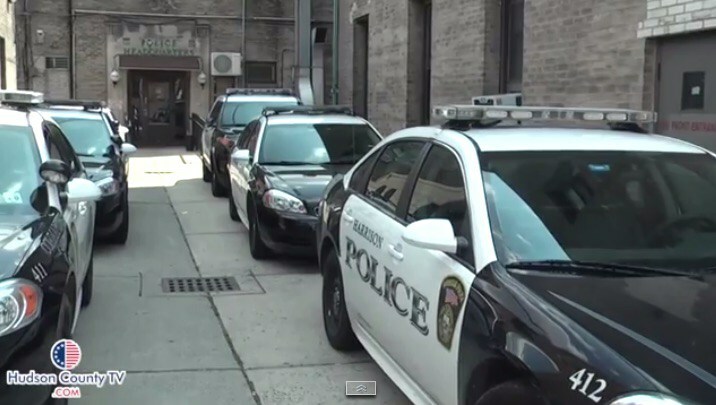 The male was identified as “Daniel”, per the Passenger’s UBER account and had a destination of Harrison Avenue, Harrison N.J.
At the time of the first report, the male party was described as a 23-25 years old, Colombian accent, short dark hair, clean shaven, wearing a black shirt and black pants. The black shirt had a logo of a local restaurant but the victim could not recall the name. the victim; the victim immediately pushed her assailant off of her and struck him in the face with a closed fist. At this time, the suspect exited the vehicle and ran in an unknown direction. The victim stated the male suspect left his silver and white IPhone on the front seat of her vehicle. The phone was photographed and placed into evidence. The victim provided this Officer a victim/witness statement at 0500 hours. David Doyle from Harrison Police said the following: “Information provided by the victim at the scene and during follow up interviews with detectives along with the evidence gathered (cell phone) generated a suspect. Detective’s responded to the suspects apartment and he matched the description perfectly. During their interview with the suspect in his own apartment detectives observed injuries to his face and upper torso that the victim described had occurred from fighting back. When faced with additional information that detectives had unearthed, the suspect admitted the crime, but then quickly invoked his right to counsel before saying anything further.